Born on February 15, 1564, in Pisa, Italy, Galileo Galilei was a mathematics professor who made pioneering observations of nature with longlasting implications for the study of physics. 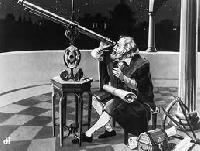 He also constructed a telescope and supported the Copernican theory, which supports a suncentered solar system. Galileo was accused twice of heresy by the church for his beliefs, and wrote books on his ideas. He died in Arcetri, Italy, on January 8, 1642. 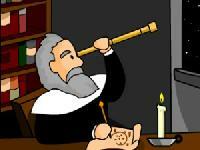 Galileo continued to study mathematics, supporting himself with minor teaching positions. During this time he began his twodecade study on objects in motion and published The Little Balance, describing the hydrostatic principles of weighing small quantities, which brought him some fame. This gained him a teaching post at the University of Pisa, in 1589. There Galileo conducted his fabled experiments with falling objects and produced his manuscript Du Motu (On Motion), a departure from Aristotelian views about motion and falling objects. Galileo developed an arrogance about his work, and his strident criticisms of Aristotle left him isolated among his colleagues. In 1592, his contract with the University of Pisa was not renewed. 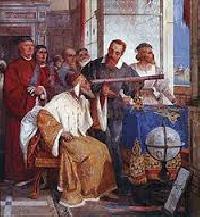 Galileo quickly found a new position at the University of Padua, teaching geometry, mechanics and astronomy. The appointment was fortunate, for his father had died in 1591, leaving Galileo entrusted with the care of his younger brother Michelagnolo. During his 18year tenure at Padua, he gave entertaining lectures and attracted large crowds of followers, further increasing his fame and his sense of mission. In 1600, Galileo met Marina Gamba, a Venetian woman, who bore him three children out of wedlock: daughters Virginia and Livia, and son Vincenzo. He never married Marina, possibly due to financial worries and possibly fearing his illegitimate children would threaten his social standing. He worried the two girls would never marry well, and when they were older, had them enter a convent. His sons birth was eventually legitimized and he became a successful musician. 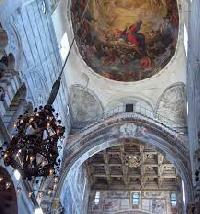 At age twenty, Galileo noticed a lamp swinging overhead while he was in a cathedral. Curious to find out how long it took the lamp to swing back and forth, he used his pulse to time large and small swings. 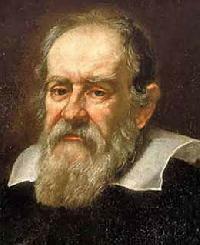 Galileo discovered something that no one else had ever realized: the period of each swing was exactly the same. The law of the pendulum, which would eventually be used to regulate clocks , made Galileo Galilei instantly famous. Except for mathematics, Galileo Galilei was bored with university. Galileos family was informed that their son was in danger of flunking out. A compromise was worked out, where Galileo would be tutored fulltime in mathematics by the mathematician of the Tuscan court. Galileos father was hardly overjoyed about this turn of events, since a mathematicians earning power was roughly around that of a musician, but it seemed that this might yet allow Galileo to successfully complete his college education. 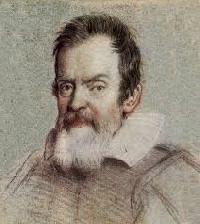 However, Galileo soon left the University of Pisa without a degree. Ironically, it was a lecture on literature that would turn Galileos fortunes. The Academy of Florence had been arguing over a 100yearold controversy: What were the location, shape, and dimensions of Dantes Inferno Galileo Galilei wanted to seriously answer the question from the point of view of a scientist. Extrapolating from Dantes line that [the giant Nimrods] face was about as long And just as wide as St. Peters cone in Rome, Galileo deduced that Lucifer himself was 2,000 armlength long. The audience was impressed, and within the year, Galileo had received a threeyear appointment to the University of Pisa, the same university that never granted him a degree. At the time that Galileo arrived at the University, some debate had started up on one of Aristotles laws of nature, that heavier objects fell faster than lighter objects. 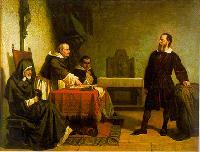 Aristotles word had been accepted as gospel truth, and there had been few attempts to actually test Aristotles conclusions by actually conducting an experiment.According to legend, Galileo decided to try. He needed to be able to drop the objects from a great height. The perfect building was right at handthe Tower of Pisa, 54 meters tall. Galileo climbed up to the top of the building carrying a variety of balls of varying size and weight, and dumped them off of the top. They all landed at the base of the building at the same time (legend says that the demonstration was witnessed by a huge crowd of students and professors). Aristotle was wrong. 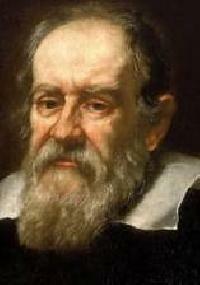 However, Galileo Galilei continued to behave rudely to his colleagues, not a good move for a junior member of the faculty. Men are like wine flasks, he once said to a group of students. ...look at....bottles with the handsome labels. When you taste them, they are full of air or perfume or rouge. These are bottles fit only to pee into!Not surprisingly, the University of Pisa chose not to renew Galileos contract.